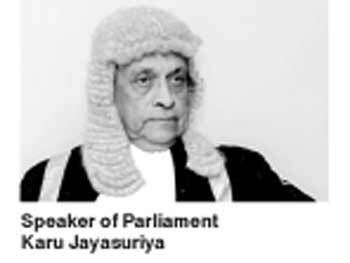 Speaker of Parliament Karu Jayasuriya issuing an Independence Day message called on all Sri Lankans to stand united to build a prosperous nation for future generation. Sri Lanka’s path to independence is adorned with the brave sacrifices made by the noble men and women who fought for the freedom of the motherland. At the 70th anniversary of Independence, we celebrate and commemorate the Sinhalese, Tamil and Muslim leaders who were united in their fight for freedom. It’s important that we reflect on the factors that stood in the way of our enjoying that hard won freedom. Chief among these was the division that existed between ethnicities, and it fills one with hope that today we are moving on from those dark days as one Sri Lankan nation. There is no doubt that many social and economic challenges can be overcome through unity. With that in mind, I firmly believe that if we set aside our differences, there is no stopping us from becoming a strong, ethical and self-sufficient nation. On this occasion when we mark seven decades of Independence, I urge all Sri Lankans to stand united to bequeath on the future generations a true, meaningful freedom.